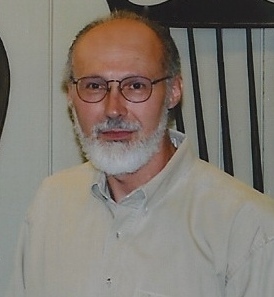 After a short career in the aerospace industry, Richard Grell followed his woodworking dream and became a Windsor chairmaker. From a very early age, Grell displayed a natural talent for working with his hands. His grandfather encouraged his remarkable skills. Today that nurturing is reflected in the fact, as a one-man shop, Grell is involved in every step of each chair’s creation. He does not buy parts. His attention to detail is so great that he personally searches his property and other local areas for the perfect straight-grained trees that make his chairs as durable as they are beautiful. Working with tools that he made or antique tools that his grandfather presented to him, Grell offers his chairs in an unrivaled variety of styles and finishes. Committed to authenticity, Grell carves each seat from a single piece of wood, meticulously pegs and wedges all joints, hand shapes each spindle, and uses steam to bend bows and combs. 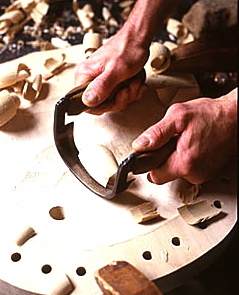 The hallmark of each Grell chair is his hand-carved “R. Grell” signature. Grell is continually studying the designs and proportions of antique Windsors. This confirms his reverence for the Windsor design and keeps him constantly focused on historical integrity. The knowledge that many of his chairs share space with 18th century museum pieces and are at home in some of the most outstanding private collections in the United States and around the world is his reward for such dedication! 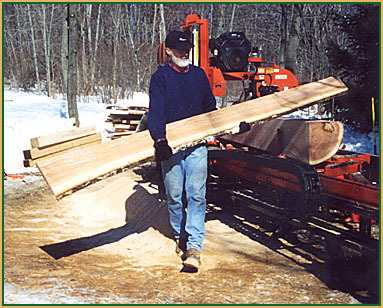 Richard has his logs sawed, for your chair, on a portable sawmill by his workshop.